During the year, many questions arise about resources for the AP Italian Language and Culture Exam. The very best source for information is AP Central. Obtaining accurate information about the exam is very important for all concerned with this examination because we need to reach a goal of 2500 test takers by 2016. All AP Italian teachers or potential teachers should go to AP Central for information about this important exam. This website is a gold mine of information about the AP Italian Language and Culture Exam. Once the AP Central link has been accessed, the following additional links provide even more specific information about the AP Italian Language and Culture Exam. 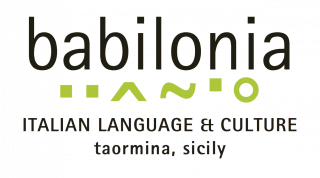 AP Italian Course Description: This link offers a set of sample AP Italian course questions. AP Italian Language and Culture Exam Course Home Page: This link offers a cornucopia of information including AP bookstore resources, Workshop opportunities, syllabus development guide, and much more. AP Italian Exam Information: This link contains samples of the four free response questions for 2012 and 2013. It also contains the audio files and annotated commentary on selected samples of all response to all four free response questions. Scores are also included with an explanation of why the scores were given. It also includes score distributions. AP Italian Workshops for 2014: This link contains information about AP Italian Workshops for July and August of 2014.